When you have read the title and then look at the picture you might miss the connection. When you do miss the connection it is understandable as fencing does not mean much to many people. Fencing though is a “sport” I practised for years with great pleasure and is a typical example at the same time. Fencing as some people associate it with sword fighting and the old-fashioned way of fighting battles and wars is nowadays known as a “sport”. For a “sport” it is very technical, mentally and physically intensive for enthusiasts and professionals and quite difficult to look at. 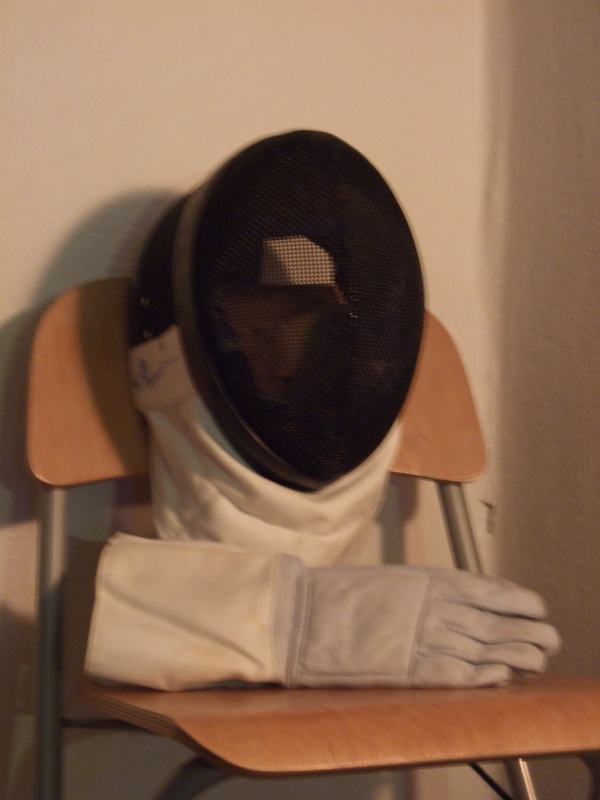 Fencing is in short about technique, speed, accuracy and efficiency. When you actually look back at the world before 1900 one thing becomes clear: since iron was used for swords fencing was not a “sport”. Anyone who was able to effectively wield a sword or rapier like weapon made for slicing, stabbing or both was able to defend his or her territory, both as a civilian and a soldier. In the Olympic Games of 1896 in Athens fencing was one of the competitive “sports” during the games. In 1913 the Féderation International d’Escrime was created and fencing had its own official organisation. The F.I.E. itself describes fencing as either an art, science of arms or simply a sport. Thing is as a fencer you learn how to handle a weapon; apply defensive and offensive techniques and you learn tactics and strategy through continual practice and development. In short fencing is a martial art at its core, until this day. Yet fencing in typical Western trivialisation is called a “sport” because it is “safe” and not “potentially violently harmful”. such reasoning overlooks the protective kevlar clothing to stop fencing weapons piercing or striking your body with severe impact and wearing the protective mask. The reasoning in the West that something is a “sport” because of safety measures and regulations is short-sighted. Kick boxing might be called a “sport” but the techniques taught there are certainly not meant for cuddling. Cue in boxing, Asian martial arts and even judo. Judo is a martial art solely focused on self-defence. Call it a “sport” and you devalue a tradition of culture and teachings to a ready-made consumer solution. My problems with Western trivialisation extend to many things. When people grin at hearing the name “Kamasutra” because they think of sexual practices I detest the fact that they have not made the effort to actually read the complete book. There is also the case of “Asian food is always spicy so I just need to add pepper” which is complete nonsense. Some cultures emphasise smell and taste over standard recipes in their cuisine, peppers are sometimes just optional. The topic goes deeper than what I have addressed here. Europe’s past in particular has a certain cultural heritage of seeing things from a “Western-European” perspective. The trivialisation of things that do not “fit in” this perspective, demonstrates two things I detest: lack of appreciation and the underestimation of everything that does not conform. Posted in Photos and tagged 1896, 1913, appreciation, Athens, culture, F.I.E., fencing, heritage, Kamasutra, martial art, Olympic Games, regulations, safe, safety measures, sport, sword fighting, teachings, tradition, underestimation, Wester-European trivialisation on November 16, 2014 by rura88.